The Apple Watch makes its commercial debut today. Prices start at US $349 and rise sharply up to an eye-watering $10,000+ for a solid gold edition. Like the iPhone was not the first smartphone and the iPad was not the first tablet, the Apple Watch will not be the first smartwatch—but if you weren’t already aware of that fact then I’ve just told you all you need to know about the current popularity of wearable digital technologies. Indeed, few have yet been sold on the idea a pricey, fast-obsolescing watch that needs recharging at the end of every day. Apple, therefore, is relying on legions of third-party app developers to figure out how to make its smartwatch maximally useful and entertaining; a part of the company’s strategy is to leave enough space open for other people to decide how the product will be integrated into their lives. As for whether or not it will be a success, only time will tell (pardon the pun). Irrespective of the future success or failure of the Apple Watch, it would be entirely appropriate, in lights of its debut, to ask serious questions about the changing relationship between human understandings of time and new digital technologies respectively, and Judy Wajcman has chosen to do precisely that. Wajcman joined the LSE in 2009 from Australia National University and is currently the Anthony Giddens Professor of Sociology. Over a career spanning three decades, she has become known for research interests in the sociology of work and occupations, science and technologies studies (STS), and feminist theory. 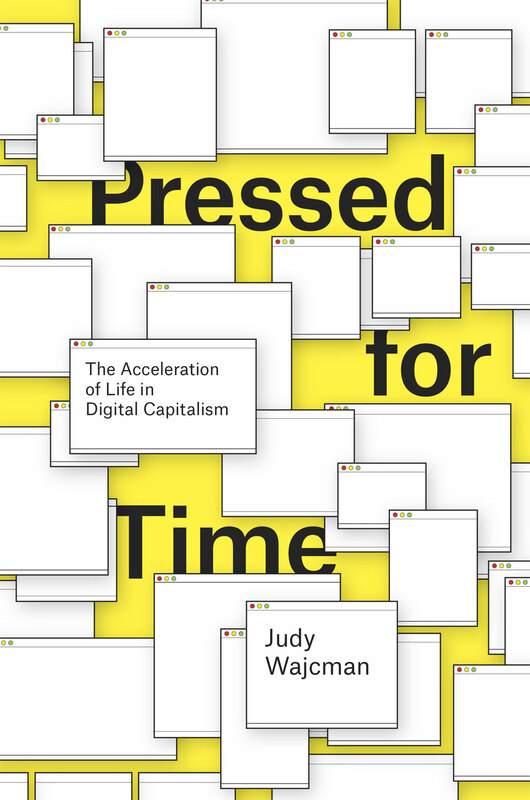 Her latest book, Pressed for Time: The Acceleration of Life in Digital Capitalism, weaves all three of these strands together into an authoritative yet accessible treatise on the sociological implications of technology for our sense of speed. The book takes as its starting point the commonplace critique of technological innovation at work and at home. These technologies, originally intended to make tasks faster and therefore free up more time, only ever seem to make us more harried and busy. How many times have you heard someone complain that email and smartphones have resulted in the stress of being ‘on call’ 24/7? Wajcman, however, rejects such complaints as reductionist, teleological tales which invest far more agency in technology than ought to be warranted. Instead, she argues for “mov[ing] the analytical focus away from examining how technology influences humans to exploring how materiality and sociality are constitutive of both activities and identities”. In this view, people and things are never distinct but rather exist always in relation to each other in sociotechnical or sociomaterial “assemblages”, and the social organization of time can only be understood alongside technology. In the development of this thesis, Pressed for Time deploys a wide-angle lens. Wajcman puts the proverbial need for speed in historical perspective, linking clock time to the rise of industrial capitalism and demonstrating how different social groups (e.g. men versus women, working poor versus white collar professionals) experience the same time differently. She also explores sociotechnical assemblages as they relate to time in the workplace, in the home, and finally in the context of interpersonal relationships. In all cases, she shows how the experiences of time and new technologies are mutually constituted and that technology can slow us down as well as speed us up—and that both can be made pleasurable or painful, depending upon the situation. Ultimately, Wajcman argues that technology by itself is neither panacea nor poison for late capitalist societies and developing technologies which actually improve our subjective relationship to time requires a far more robust understanding—first and foremost—of what sort of society we want. For those familiar with the social theory of Anthony Giddens in books such as The Constitution of Society and Modernity and Self-Identity, this rhetorical turn ought to be a familiar one. It would be no insult to say that Wajcman is following in his footsteps: Pressed for Time is confident yet accessible, ranging authoritatively over an enormous amount of academic subject matter. It invites the reader’s active engagement while maintaining sufficient coherency and discipline of prose that it can be read comfortably from start to finish in only one or two sittings. This sort of writing is a lot harder to do than you might think, and Wajcman is to be applauded for refusing to hide her ideas behind a wall of academic impenetrability. All in all, though, Pressed for Time is a star turn from a one of the UK’s most important sociologists, and I would expect to see it on many social theory, digital media studies, and STS required reading lists in very short order. But I’m not expecting to see Wajcman with an Apple Watch on her wrist…at least not quite yet. Casey Brienza is a sociologist and Lecturer in Publishing and Digital Media at City University London’s Department of Culture and Creative Industries. To date, she has written over fifteen articles and chapters about transnational cultural production and consumption and the political economy of the global culture industries, specifically as these relate to publishing and emerging digital technologies. 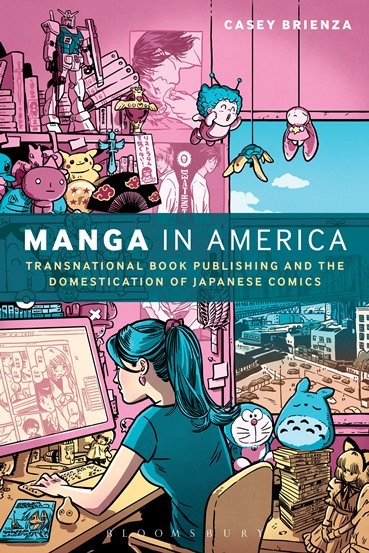 Her works on Japanese manga and the open access movement are particularly widely cited, and her first monograph, Manga in America: Transnational Book Publishing and the Domestication of Japanese Comics (Bloomsbury), is expected in 2015. An edited collection, Global Manga: ‘Japanese’ Comics without Japan? (Ashgate), is also expected later this year. She may be reached on Twitter @CaseyBrienza or through her website.